Samantha is 9 yrs. old and was diagnosed with celiac disease at 6 yrs. old. At what age were you or your child diagnosed with celiac disease? Samantha was having daily tummy aches. She also had some pretty severe brain fog. All immediate family tested - none of us came up positive for Celiac Disease. Our lives have changed dramatically. We made our whole house gluten free. 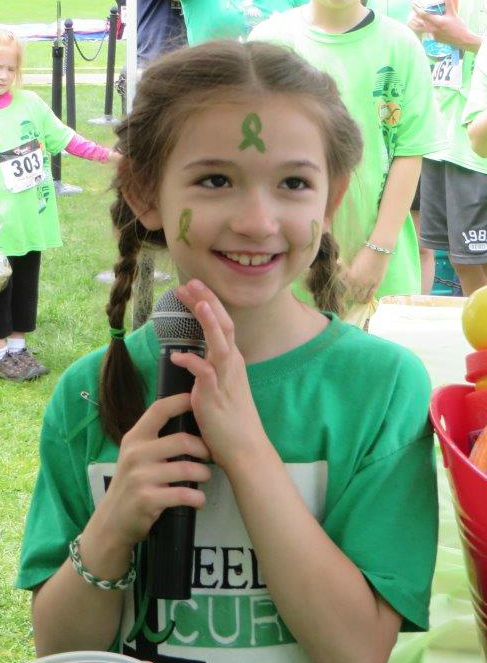 I (Sam's mom) advocate for her in every way I possibly can and am very vocal about her disease. 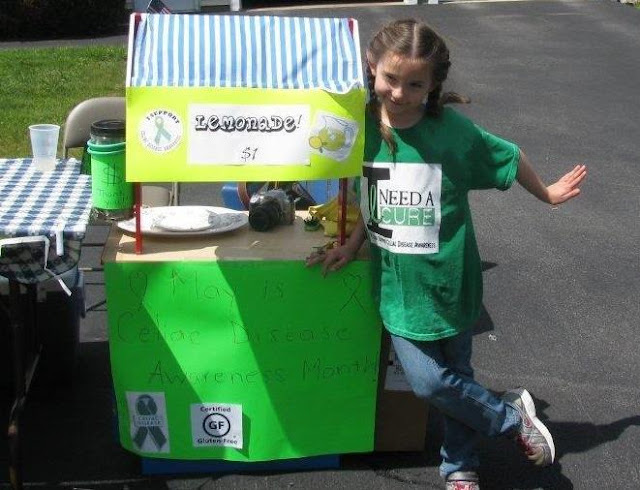 Last year Samantha had a lemonade stand that raised over $700 that she wanted to put towards funding a walk in our area to raise money for a cure. 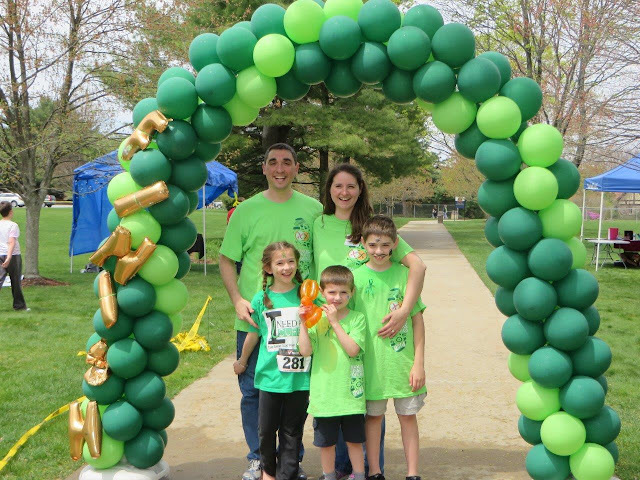 So this year we held the Making Tracks for Celiacs NH 5k Run/Walk and Vendor fair on May 10th and raised over $15,000 for the Center for Celiac Research & Treatment at Massachusetts General Hospital and raised awareness in doing so! Her diagnosis has definitely taken a quiet/shy family and made us come out of our shell! WOW Mom!! You must be proud of your young lady! Seeing Samantha embrace her celiac disease together with her family and raising awareness in her community is AWESOME!! Keep doing amazing things!